“We knew since the beginning, that tonight was gonna be a good night.” The boys of DAY6 weren’t wrong as they graced the stage at The Novo in Los Angeles, CA on Sunday, November 18th, to give their sold-out audience an energetic night to remember. As the hometown show for Jae, the five members of the band were all extra nervous and excited, with high expectations for the show. Starting things off with their song “I Smile,” the band was welcomed with loud cheers, light bands being waved around, and an overall hyped-up crowd. DAY6 went on to perform several more songs such as “Pouring,” and “Somehow,” before introducing themselves to their fans. 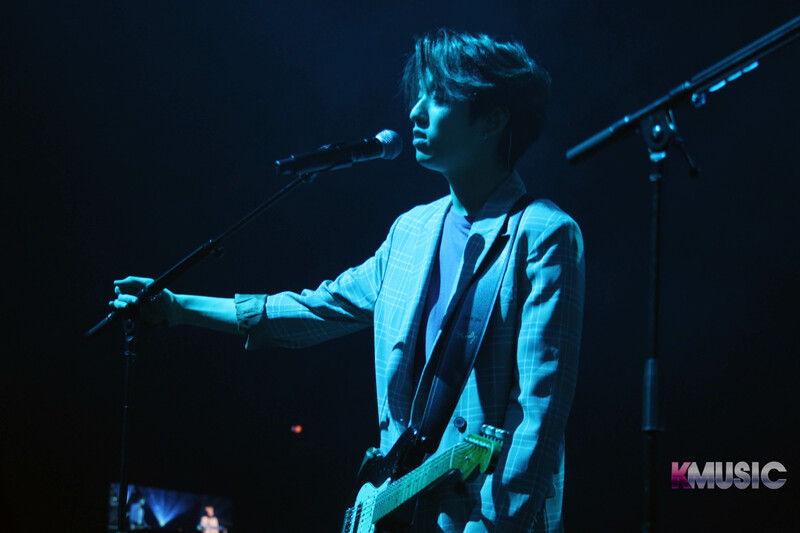 Jae mentioned how it “[felt] good to be home,” to the delight of the fans, and they continued their set with a mixture of upbeat and slow songs. Not wanting the night to end, the group gave it their all for their last few songs, with Jae jumping into the audience during “Freely,” and eventually making his way up to walk around the balcony. As the final song on the setlist, “Sing Me,” came up, Sungjin, Wonpil, Dowoon and Young K jumped into the audience as well, and, once the song came to an end, Jae requested one last song for the fans. The group ended the night with a performance of “Feeling Good” as a special gift to Jae’s hometown fans, and Young K also made his way through the balcony to greet My Days. DAY6 truly gave fans an unforgettable night filled with pure emotions, amazing vocals, and even more amazing fan service. Thank you to Subkulture Entertainment and JYP Entertainment for bringing the group to Los Angeles, and for allowing us to attend! Don’t forget to head of our Facebook page to check out photos from the night.